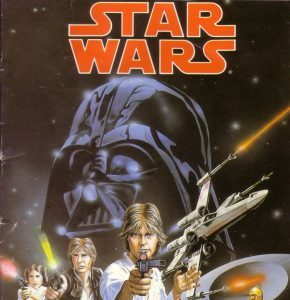 With the Amiga coming out 2 years after the last of the original trilogy of films many thought that no Star Wars game would ever appear for it, the games publishers however found your lack of faith disturbing!! So in 1988 we were hit with games covering the entire trilogy! So let’s take a quick look at each of them in turn. Published by Domark in 1998 and written by a one man genius that is : Jürgen Friedrich who also famously ported Hard Drivin & Stun Runner . This is as close to the arcade game you are ever going to get on a home computer IMHO. When played with the mouse this game in my mind is almost arcade perfect with all the sounds & thrills of the arcade original, which considering the power of the Amiga doing a wireframe game was well within it’s capacity. I played the heck out of this game when it came out bringing back memories of sitting in the original cabinet whilst on holiday in Skegness. Reviews bounced from the low 60%’s to the low 90% range, people mainly complaining it was a port of an old game and didn’t push the system for me it’s all about the game and it deserves the scores in the 90’s. Published once again by Domark in 1998 but programmed by a totally different outfit called Vektor Grafix who happened to do the original games 8-bit ports this is once again another faithful reproduction of the wire frame arcade original that failed to have much impact in the arcades. I have always suspected that Vektor Grafix licensed the engine as it looks almost identical to the previous game (sounds like a job for Dreamkatcha! ), but however it was done who cares when you get such a great fun game. This game reviewed in the solid mid 80%’s (The game is not was much fun as the original) apart from Amiga User International who gave it 5/10 proving once again they are morons. Now for the final game in the trilogy and boy what a let down! This game was once again published by Domark in 1998 and was a port of the massively disappointing Arcade game by Atari. The conversion is fairly accurate one and the game is basically a pseudo Zaxxon clone made into a real bag of bolts, why Atari made each game worse throughout the trilogy is a mystery that can never be answered. 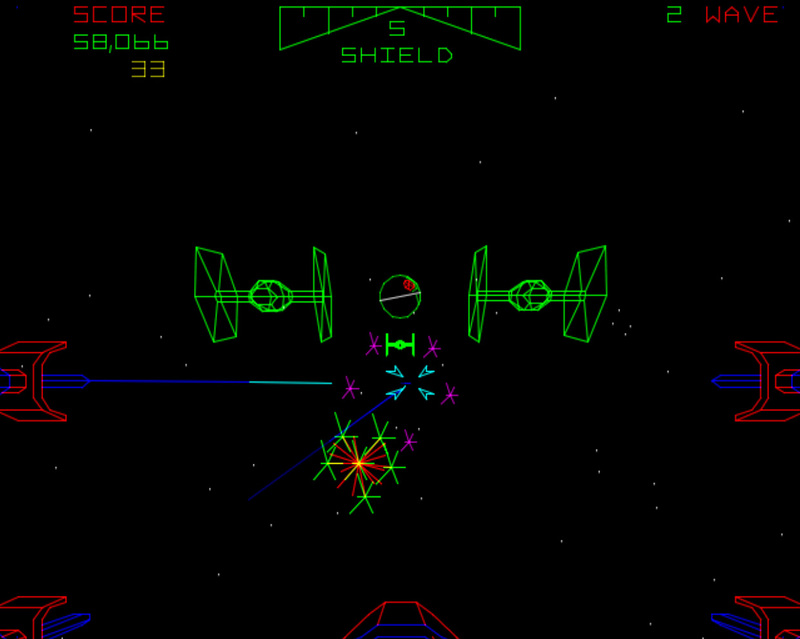 I played this once in the arcade, one on the Amiga and never again – it just didn’t feel Star Wars. The reviews range in the 60-70% range which is fair and not a reflection of the port, the port is good it was just a terrible game to begin with ! 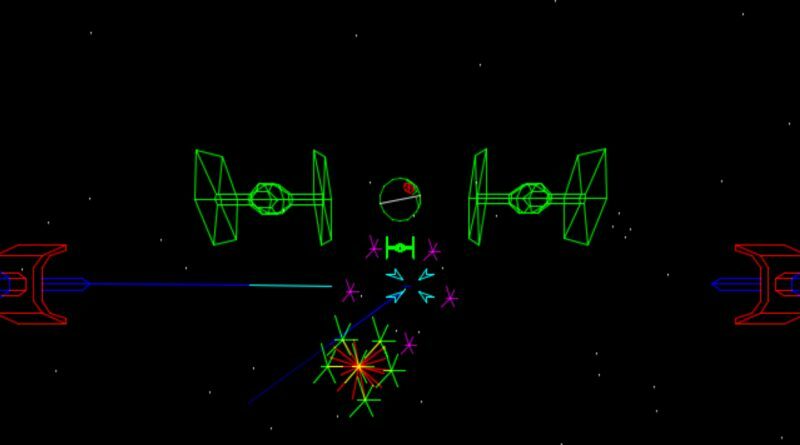 I played the hell out of Star Wars and Empire on the Amiga. 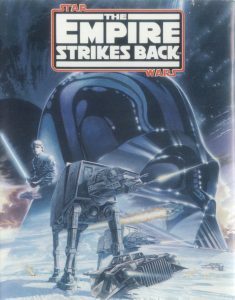 I’ll have to say, when I saw Empire on the Amiga at the time I had no idea it had been an arcade release! To me, this game came out of nowhere and was great!